On May 12th, we are partnering with WordPress Cancun, a group of local WordPress developers who get together to share their knowledge and experience. 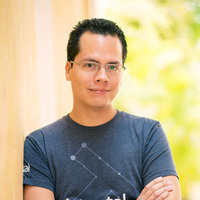 This month’s meetup will feature Greco Rubio, a Toptal developer and Community Leader, who will give a talk titled “React + WordPress.” Greco will show how to create a WordPress plugin that pulls data from the API and generates all the visualizations via React. The event begins at Orbis Coworking. For more information, please see the event website.